Bottom of the table Wimbledon will head to league leaders Chinnor this weekend aiming to pull off one of the results of the season so far. The Dons are currently propping up the division and despite some positive performances this season, the London –based club are still winless as they prepare to take on Matt Williams’ side who remain unbeaten in this campaign. Chinnor went to the summit of National Two South last weekend and they will be aiming to keep the likes of Cinderford and Taunton Titans at bay this Saturday. Second placed Cinderford host Barnstaple while Taunton will be looking to respond from being knocked off top spot when they travel to London Irish Wild Geese. Elsewhere in the top half, it is fourth against fifth as Redingensians take on Redruth while Henley Hawks entertain Bury St Edmunds and Canterbury go to Clifton. At the wrong end of the table, Old Redcliffians and Broadstreet will be aiming for their first victories of the season when they face Tonbridge Juddians and Worthing Raiders, respectively. It is top against bottom in National Two South this weekend as Chinnor host Wimbledon. Matt Williams’ side moved into first place in the division in Round 10 following a victory over Barnstaple and also because Taunton Titans’ perfect start was ended by Henley Hawks. The task for Chinnor is to now keep themselves at the summit after narrowly missing out on a promotion place last season and judging by the way the Oxfordshire side are currently playing, you would fancy them to stay in the top two this time around. The odds will be firmly stacked in their favour to claim a victory over Wimbledon this Saturday. Chinnor remain unbeaten, have won their last nine matches and the Black and Whites have also not lost at home for 23 matches. The task facing the Dons is a daunting one, considering the London-based side are still yet to taste victory at this level. Wimbledon are currently 15 points from safety after 10 rounds of action and it would be the result of the season if they were to come away from Kingsey Road with a victory. Cinderford capitalised on Taunton Titans’ misfortune last weekend to move up to second place in the division. Paul Morris’ side are going along nicely and following defeat against Chinnor in Round Six, the Gloucestershire outfit have won four on the bounce and they are now only two points behind the league leaders. The men from Dockham Road host Barnstaple this weekend as they aim to stay ahead of Taunton, but their opponents will certainly give them a stern test. Barum put up an excellent fight against Chinnor last Saturday, but Steve Perry’s men only had a bonus-point to show for their efforts. Barnstaple have also had a very solid start to the campaign, following a season of flirting with relegation last year, so the Devonshire side will be aiming for another positive result this weekend ahead of the first break in the term. Taunton Titans take on London Irish Wild Geese in Round 11 of National Two South hoping for a reaction. Tony Yapp’s men were outplayed by Henley Hawks last weekend which ended with the Somerset side losing their unbeaten start to the season. The Titians are now a point outside the top two after a wonderful beginning to the campaign, but they will be keen to bounce back from their only loss this term when they travel to Sunbury-On-Thames. Taunton have won 15 of their last 19 games on the road, but London Irish Wild Geese come into this fixture on the back off some recent positive displays. Home wins against Wimbledon and Old Redcliffians plus an encouraging performance against Redruth last week leaves Lee Starling’s men 11 points clear of the relegation zone which will be pleasing for the Hazelwood faithful. The Geese are now back on their own turf where all three of their victories have occurred this term and with Taunton potentially coming into this fixture on a low, the hosts may fancy their chances of sneaking a result. Fourth plays fifth in National Two South this Saturday as Redingensians welcome Redruth to Old Bath Road. The home side are flying at present and head into this round of fixtures having won their last five matches. In fact, only Chinnor have a better record than the Rams and Owen Root’s side are once again showing real progression at this level. They take on a Redruth team who are also going through a purple patch of form. The Reds have won four of their last five matches which leaves them just three points behind their hosts and that will be pleasing for Pale Nonu and his coaching staff. Redruth also clinched their first victory on their travels against Henley Hawks in Round Nine and if they were to secure back to back away wins for the first time since January, then Redruth will move into the top four this weekend. 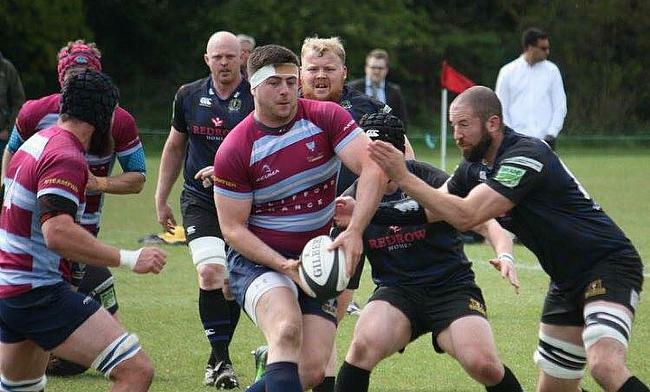 Bury St Edmunds go to Henley Hawks this weekend aiming to continue their excellent recent form. Ollie Smith’s side have won their last three matches which has lifted them up to sixth in the table and in fact, the Wolfpack have only lost twice since the opening day of the season. Last weekend’s victory over Clifton was another professional display from the Suffolk outfit and they will be hoping for more of the same when they visit Dry Leas tomorrow. But, Bury will know just what this Henley Hawks side are capable of. Last weekend, Pete Davies’ men became the first side to beat Taunton Titans this season, with the club’s website stating it was the Hawks’ best performance of the campaign thus far. That win for Henley lifted them into the top half of the division and the hosts this weekend have now lost just one of their last five matches. This will be an intriguing battle in Oxfordshire tomorrow with both sides aiming to continue their positive spells. Canterbury responded to successive defeats in Round 10 as they waltzed to a comfortable win over 14-men Worthing Raiders at the Marine Travel Ground. It was a welcome victory for the City Men as they were just starting to lose sight of some of the teams above them, but Andy Pratt’s side will now be hoping that their season is back on track when they head to Gloucestershire. The Kent outfit have lost just once away from home this season and they may be quietly confident of gaining a result tomorrow against a Clifton side which is really struggling for form. The Lavender and Blacks have lost four of their last five games which has seen them drop to 13th in the table, but they are still 10 points clear of the relegation zone as things stand. Darren Lloyd’s side last tasted victory against Wimbledon just under a month ago and they will be desperate to experience that winning feeling this weekend. Tonbridge Juddians are back at the Slade this Saturday following a resounding win over Broadstreet last weekend. TJs ran in seven tries on their way to a much needed victory in the Midlands and it could prove to be an important triumph for Peter Dankert’s men. They are now ninth in the table and more importantly, 14 points clear of the drop as we head into the first break of the season and they can distance themselves further from danger by claiming another win against one of the sides currently in the bottom three. Old Redcliffians have not had it easy in recent weeks. They have faced three of the current top four sides since the middle of October, but despite losing all three matches, their performance last week against Cinderford was positive by all accounts. Old Reds battled to a bonus-point at Scotland Lane, but they still remain winless in this division and they are 11 points adrift of safety as things stand. A victory against one of their fellow promoted sides is crucial tomorrow, otherwise the alarm bells may start to ring. After reading through a few match reports, Worthing Raiders may feel that a 50-26 defeat to Canterbury was not be a fair reflection on the way their team performed. For 40 minutes, Jody Levett’s side were good but a red-card just after half-time changed the course of the match and ended in a heavy defeat for the Raiders. That would have been disappointing for the men from Roundstone Lane after a much needed win in Round Nine against Tonbridge Juddians, but now they will have to dust themselves down and prepare for this home fixture with Broadstreet. The Raiders have lost seven of their last eight fixtures, but things are worse for the visitors who have won just once all term. Paul Hurst’s men suffered arguably their worst result of the season last weekend at home to Tonbridge Juddians and having not travelled too well so far, Street could be up against this weekend. However, they will know that they are more than capable of beating a Worthing side which is also struggling for form.